Where can I find replacement parts for my speed ring? If your Chimera gear sees heavy use, sometimes a screw, nut, or bolt may come loose and we totally understand! A wide range of replacement parts can be found on the replacement parts of our website linked below. However if you’re not sure of the part number or what to order, feel free to contact us directly! You an reach us via email at info@chimeralighting.com, or 9AM-5PM Mountain Standard Time Monday through Friday at 303.444.8000. Our team of experts can help you identify the right parts to get you back up and running! 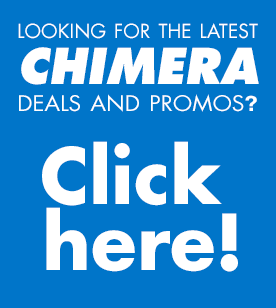 https://chimeralighting.com/wp-content/uploads/2017/08/chimera-lighting-logo-copy.png 0 0 Chimera Lighting https://chimeralighting.com/wp-content/uploads/2017/08/chimera-lighting-logo-copy.png Chimera Lighting2017-02-20 14:43:212017-07-03 13:37:49Where can I find replacement parts for my speed ring? Can I convert my speed ring? I have a Chimera with a sewn-in screen, can it be upgraded?